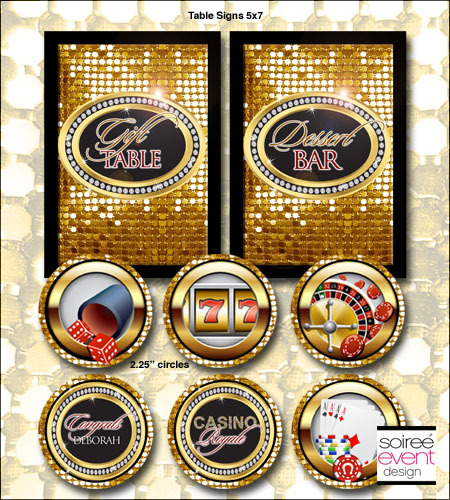 Casino parties are all the rage right now! 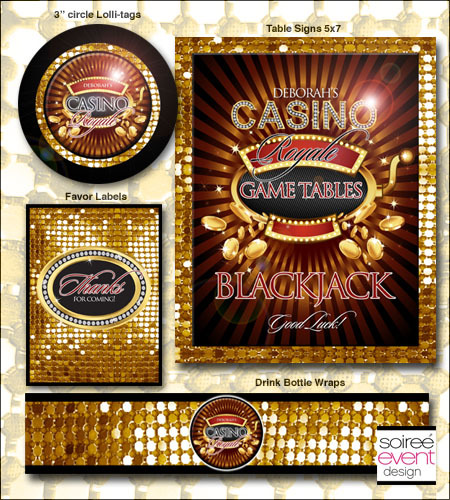 Want to host a casino party? This DIY printable party packages includes all you'll need to personalize your next party and add that special touch to make it memorable. 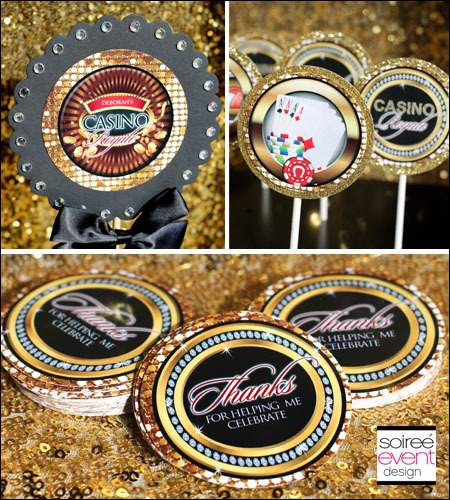 • name banner (1st name only) each circle is 6" or the word: "CASINO"
For ideas on how to use your printables, click here to see our "Casino Royale" party photos for lots of inspiration!